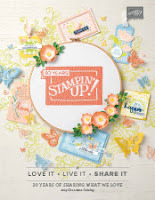 If you are an avid fan of Stampin'UP! product then you'll want to pay attention during this catalog transition season. 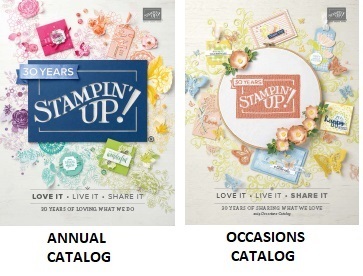 The Occasions Catalog expires the end of May as does the Annual Catalog. Stampin'UP! 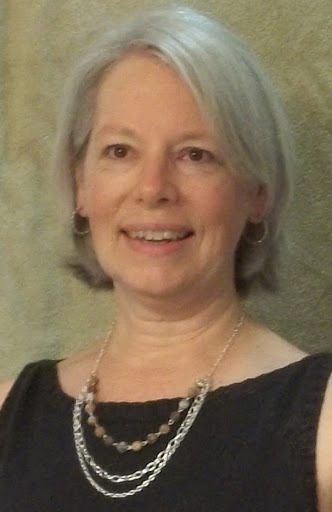 published the lists of retiring product yesterday - which has several affects on buying behaviors. You can confidently expect that retiring stamp sets will continue to be available through the end of the catalog. However, as of now, all retiring tools and embellishments are now available ONLY WHILE SUPPLIES LAST. Popular items will sell out quickly. 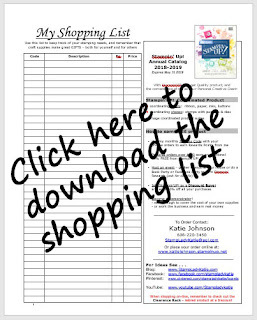 Now is the time to take another look through the catalogs and compare to the retiring lists. Once you've checked your list of supplies and stamps and compared your Wish List with the retiring list, then you're ready to make informed decisions about what to invest in while the product is still available. As Stampin'UP! aficionados we know what wonderful product this company has and we're all a fan of the art work. Click the button below when you're ready to place an order. It will ship directly to your house.